Recently I was fishing on the White River during a marvelous caddis hatch. Bugs were all over the water and there were splashy caddis rises visible as Rainbow and Brown trout rose consistently for nearly the whole day. Fishing with a foam caddis dry fly was just great! During the course of the day I saw several other fishermen using a dry fly – presumably a caddis pattern – but I also saw (and heard) several folks using an indicator with a scud. They were not catching fish and I heard one of them say “Let’s go to Norfork” as they headed off for the parking lot. 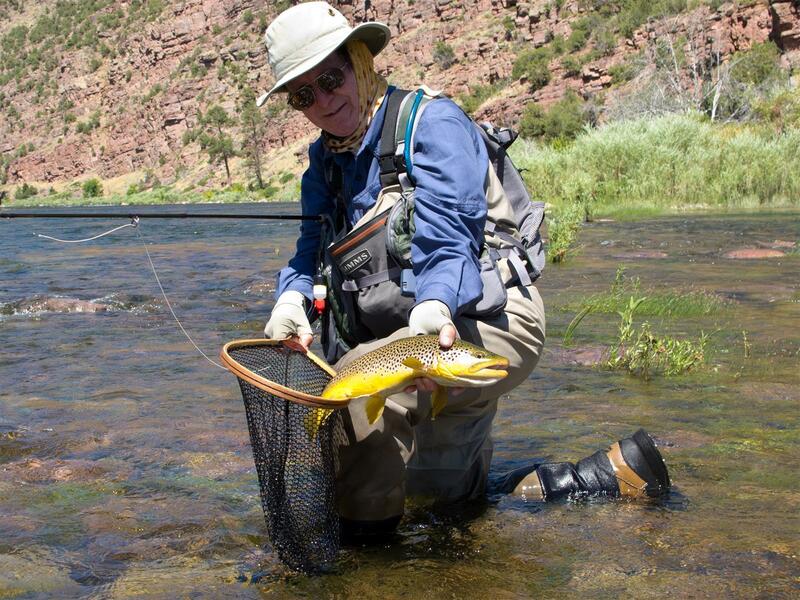 First, I “came of age” as a fly fisherman during a resurgence of the popularity of nymph fishing. The biologists told us that most of the trout’s diet was taken under the water. As I soon learned, fishing a nymph under an indicator was a good way to catch fish! The indicator solved the two major “problems” of nymph fishing: getting a natural drift and detecting the strike. I recall some wonderful Rainbows caught and released on the Green with a scud drifted under an indicator … as well as many fine days on Taneycomo. For many years I was quite happy catching a decent number of fish using this technique. Why introduce change? So, during my early trout fishing career inertia might well have pointed me towards the parking lot on that marvelous caddis day, as well. 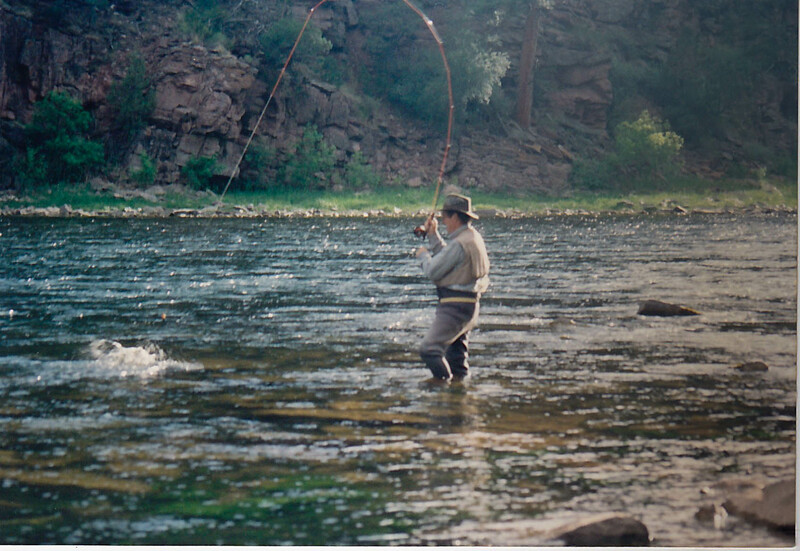 Second, I had an “attitude” about dry fly fishing: the dry fly was for “purists”, like the Englishman (not my English author friend Keith) I met on the Green who was dressed in tweeds and sitting on a river side boulder. When I asked him about the fishing he sniffed, “Well, it’s hardly world class if there are no rising fish, is it?” Good heavens, if fishing a dry fly “properly” required waiting for a rising fish before making a cast then why would I consider the dry fly an important part of my fishing? I do enjoy the scenery, but if I can view it from under the arc of a bent rod so much the better! Second, I had fishing friends who fished with different techniques than were in my own repertoire and I was willing to learn. From my friend Mark I learned that I could fish the nymph without the indicator. From my friend Keith (the author of this blog) I learned that lots of fish can be caught higher in the water column using the soft hackle or a dry fly. Now, back to that foam caddis day: there is nothing more exciting than a splashy caddis rise to your dry, setting the hook, and landing a feisty White River Brown. Why limit yourself to one technique when the limitation may rob you of the opportunity to enjoy that experience? Don’t sit on a rock and wait for the river to provide fishing that meets your “requirements”, fish with an open mind and a fly box that is capable of addressing the contingencies! This entry was posted in Fly Fishing, Fly Fishing Equipment, Guest Blog and tagged brown trout, caddis, casting, fish, fishing, flies, fly casting, fly fishing, fly tying, keith, mayflies, mayfly, oxby, ozarkenglishman, rainbow trout, softhackles, stone flies, stone fly, teach, teaching, trout. Bookmark the permalink. Good advice and well written article!